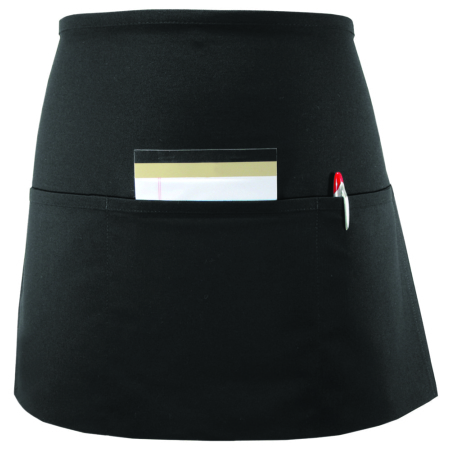 Half bistro aprons are a popular choice for restaurants, because they help to create a distinct, professional look for staff, while helping them provide better service to customers. 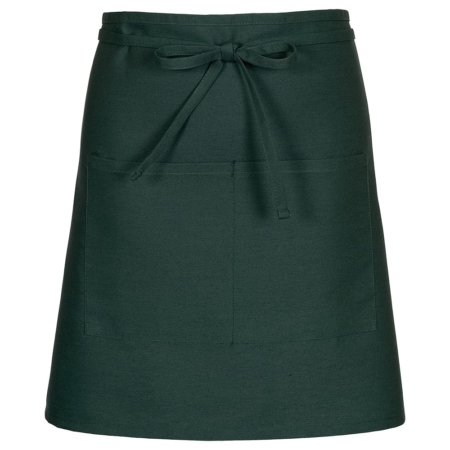 Our City Market Urban Half Bistro Waist Apron has a number of features which make it a great choice for any waitstaff. 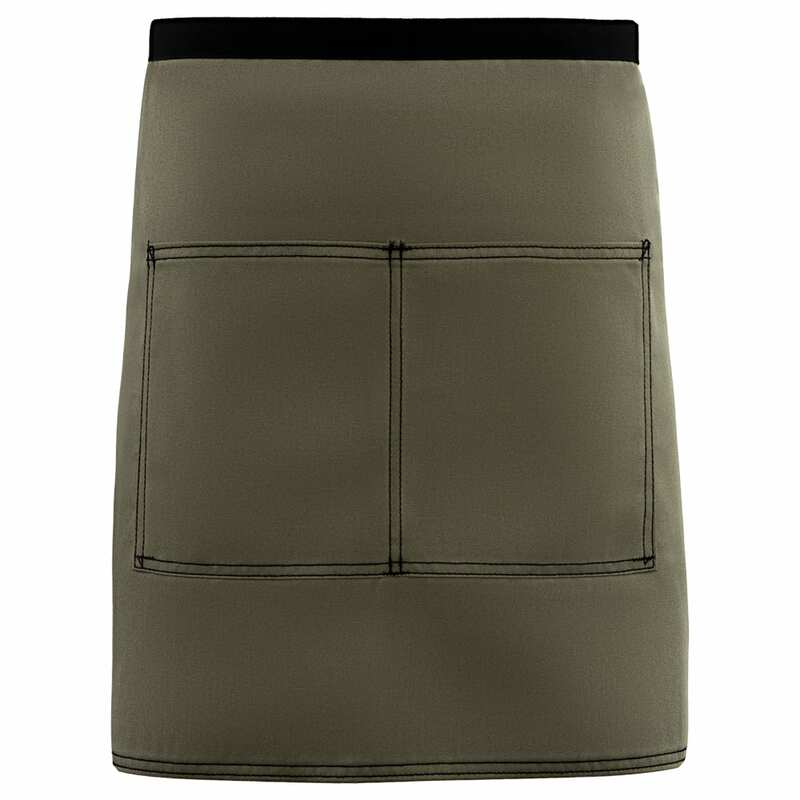 12 Color Options — Available in black, burgundy, charcoal, hunter green, khaki, lime, mocha, navy, red, royal blue, sage, and teal. These colors allow you to coordinate with any seasonal specials, kitchen décor, brand colors for the restaurant, or personal color preferences. Choose from 19 different thread tones and 7 font selections for custom embroidery options. 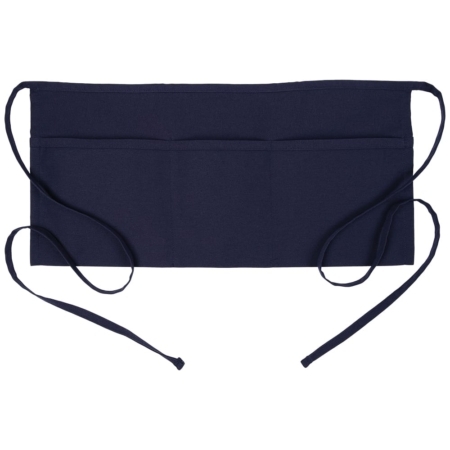 It’s An Easy Care Product—This urban half bistro waist apron is made of a durable 7.5 ounch 65/35 poly-cotton twill, treated with ProDura Soil Release to ensure that most stains will wash out, the color won’t fade, and the fabric won’t go limp after many washings and wearings. 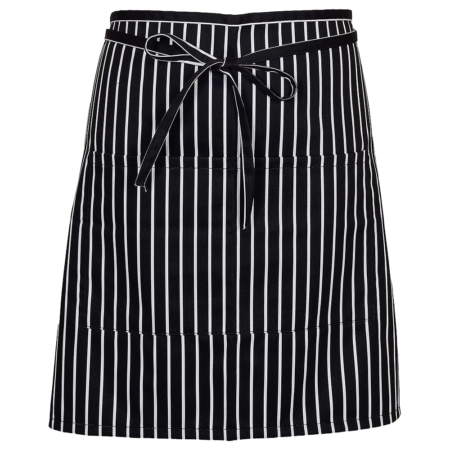 Comfort—Many people prefer this length of apron and style. 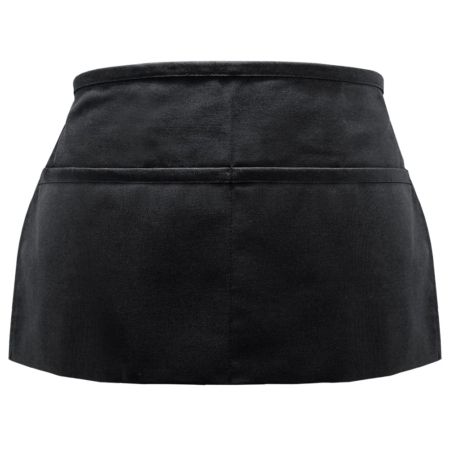 It is a full 10 inches shorter than the Full Bistro Apron, which adds increased mobility for your waitstaff, while still offering quality protection. It’s Useful —This apron features a center patch pocket, which is divided in half to provide easy-to-access storage options for notepads, pens, a meat thermometer, or anything else your staff might need to carry while on the job. 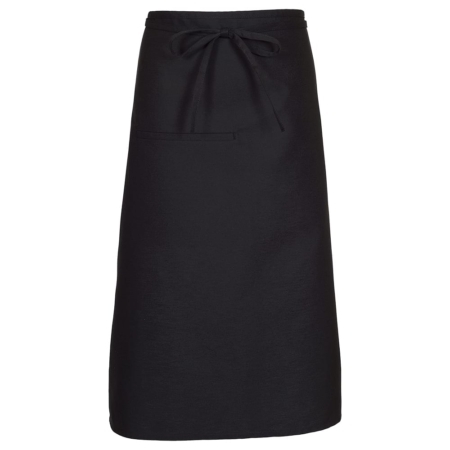 A popular choice for both waiters and waitresses. 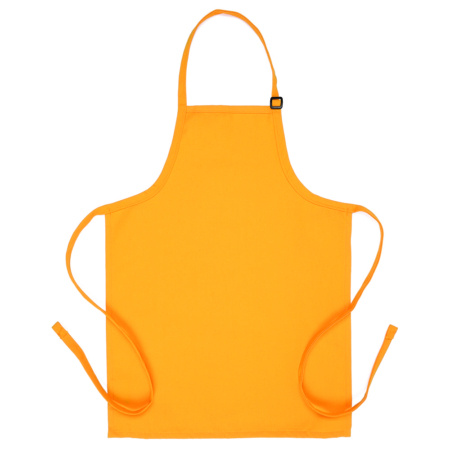 Aprons and Smocks always seeks to give you great customer service to match the quality of our products. Bulk orders receive further discounts and we give personalized attention to every order—no matter how large or small it may be. 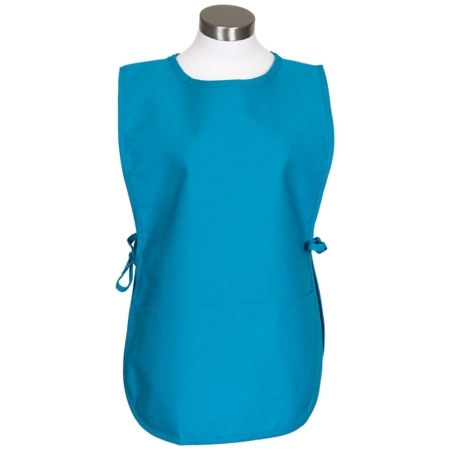 Contact us to place an order, or call Mike for assistance at 877-277-6609. If email is your thing, email us at: sales@apronsandsmocks.com.